Today we received calls from desperate migrants. 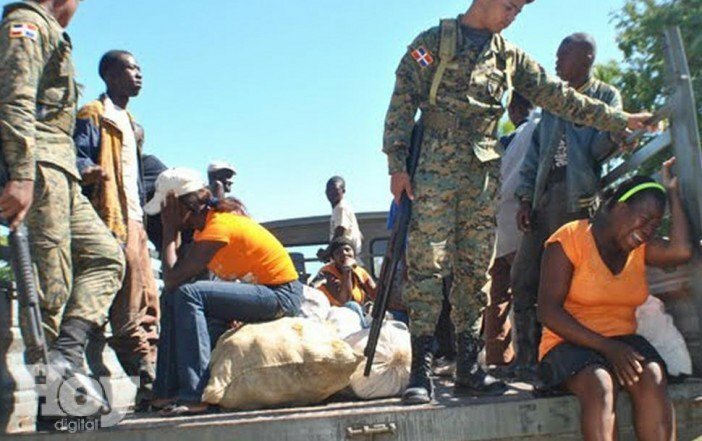 Immigration authorities raided Residencial Naime and arrested 22 Haitian migrants that were waiting to collect their pay for 2 weeks work. Some of the migrants had entered the regularization plan and had their documents, others were still in the process. The migrants were in areas where they worked and near their homes. A team from ASCALA went to investigate to find out what had happened. We went to the Fortaleza Pedro Santana in San Pedro de Macoris, where we heard the migrants were being taken. There we spoke to the official on duty who told us that an hour before immigration authorities had picked up the migrants and they didn’t have any more information, they said they were simply following orders and supporting the migration office. Nobody could give us any information about what had happened at the fortaleza to the detained Haitian migrants. Later, we went to the Immigration Office on Dominguez Charro street, near the boardwalk in San Pedro. We went to ask for information, but again found nobody who could tell us what had happened with the deportation operations in San Pedro. The two inspectors, Mr. Domingo Urib and Mr Miguel Sosa who run the office were said to be working on deportation raids with the Immigration Authorities from Santo Domingo (according to the woman who cleans the premises). One case: A young man named Andy Amado who has his documents from the Naturalization Plan, as a part of Group B, who already had his birth certificate, was detained. We don’t know why, even with his documentation, he was detained and taken to Santo Domingo. This information comes from Pastor Manual from the community “Colina” in the Santa Fe sector. The mother of the detained man is worried and says he doesn’t know anything of Haiti because he was born in the Dominican Republic. Even with his documents in hand, he was loaded into the truck, taken to Santo Domingo and left with no money or resources to get back. THIS IS THE STORY OF MIGRATION, WE’VE SEEN ENOUGH PROOF. THE AUTHORITIES SAY THAT IF PEOPLE HAVE THEIR DOCUMENTS THEY’LL BE TAKEN BACK, BUT THIS IS A LIE. PEOPLE ARE LEFT WITH NOTHING. Later we decided to contact Inspector and Engineer Manuel Dominguez, who was in charge of the regularization process in SPM. He told us over the phone that to get more information about the deportations we needed to contact Dr. Santos Miguel Ramon, a member of the International Organization for Migration (IOM). He was in charge of a training done at the main headquarters of the National Police on the proper deportation process. According to what we saw, immigration authorities who participated in this deportation did not follow legal protocol. After our visit to Muelle (immigration offices near the baordwalk) we were informed that this week was disastrous for deportations. Dr. Domingo Urib, the man in charge of the office in the province of San Pedro de Macorís has been taking actions outside of the law, demonstrating a hatred towards the Haitian community. We urge Doctor Santos Miguel Román, as somebody involved in the International Organization for Migration, to take immediate action against the attitudes of this man. We don’t want hate and discrimination. We want deportation proceedings to be protected by fair, just and non-discriminatory laws. Communities for cane cutters in the Dominican Republic, known as bateyes emerged at the beginning of the 20th century as part of the sugar industry and a demand for temporary labor. Over the last 100 years they have transformed at the mercy of economic and social changes. 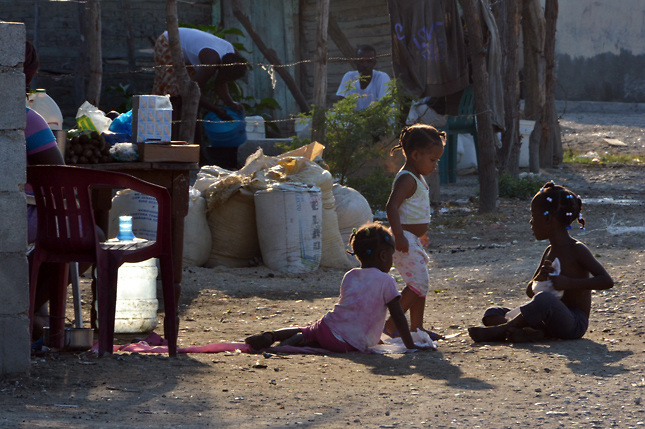 Bateyes have been integrated into the administrative system of the country and become multicultural communities made up of Haitian migrants, Dominicans and Dominicans of Haitian descent. Currently, it is estimated that there are about 425 bateyes in the country, with a total population of about 200,000. According to the latest demographic and health survey conducted by the State Sugar Council (ENDESA BATEYES 2007) these communities are some of the most impoverished in the country, living conditions are well below national levels for rural and urban standards. Batey communities exhibit high levels of unemployment, illiteracy, lack of documentation, chronic malnutrition and a prevalence of HIV/AIDS. Bateyes are communities within the sugarcane plantations, which appeared as a result of the migration of workers, mostly Haitians, to the Dominican Republic at in the 20th century. The bateyes were initially meant to be temporary communities, to accommodate an influx of migrant workers during the cane harvest, however, they became permanent. Since the decline of the sugar industry in the last 20 years, work within the cane has become scarce, forcing many to leave these communities in search of other work to provide for their families. There is no clear information about the exact number of public bateyes (those originally linked to the state sugar industry) and private, those run directly by cane companies. However, it is estimated that there are approximately 425, of which 238 belong to the State Sugar Council (CEA) and 186 are privately owned and operated by cane companies. 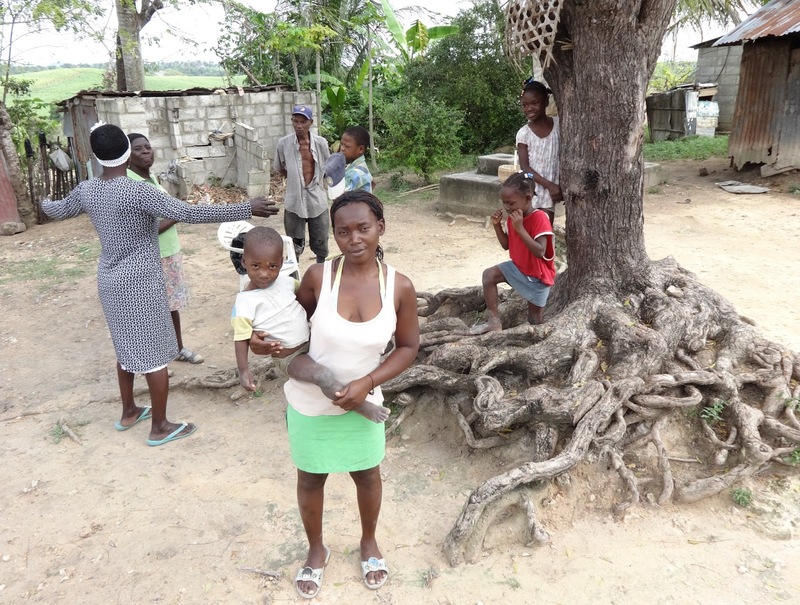 Just over a quarter of both public and private bateyes are in the province of San Pedro de Macoris. Followed by the provinces of El Seibo and Monte Plata, totalling another quarter. There are also a few bateyes in Peravia, Independencia, Sánches Ramírez y Valverde. Approximately 200,000 batey residents live in highly precarious conditions with limited access to basic services such as water, health and education. Nearly 20% of children under the age of 15 were not living with their parents, putting them at a high risk of exploitation. 30% of children are illiterate, with only 21% attend high school. Nearly half (48%) of children under the age of 5 did not have a birth certificates. 85% of adolescents ages 16-17 did not have an identity card (cedula), which limits their access to higher education, vocational training programs and formal employment. Nationally, chronic malnutrition is highest in the bateyes and only 36% of children (18-29 months) were fully vaccinated. Access to water and sanitation is also limited, 83% of the population of the bateyes lacks drinking water. Early pregnancy is another issue which affects 34.9% of adolescents in the bateyes. HIV prevalence is higher in the bateys, at 3.2% versus the national level of .8%. Condom use to prevent unwanted pregnancies and HIV transmission among teenagers is low. The Dominican Republic has an endemic problem with the Civil Registry, up to 20% of the population does not have an identity card due to issues of access, bureaucracy and other barriers. 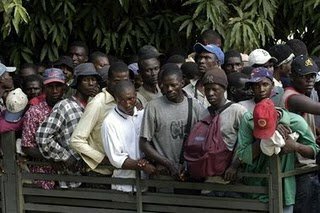 This issue is amplified in the bateys, for both Haitian migrants and their descendants born in the Dominican Republic, where those born in the country do not automatically get citizenship. This situation deepens the poverty and exclusion of these communities, making them easy targets for abuse and human rights violations. 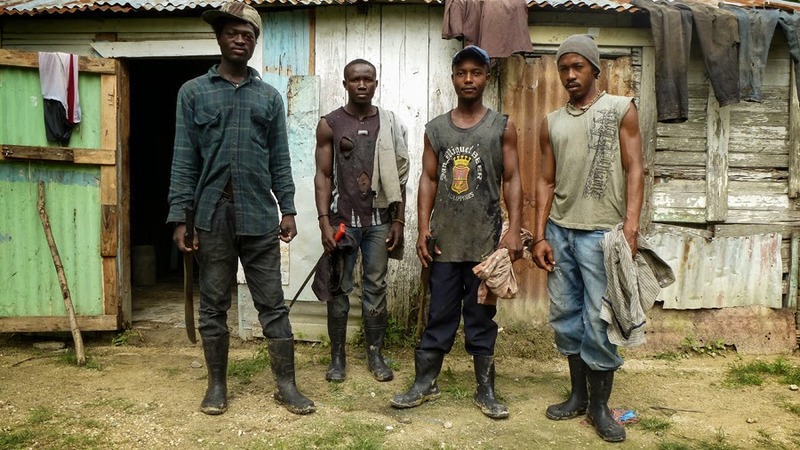 Those living in bateyes or without documents do not have access to public services and often face challenges when working to protect their rights. The low level of social integration of batey communities, coupled with low socioeconomic conditions makes collaboration challenging.